Mark's Maps – I draw maps. Do you need a map? The course map for the Trail Running Association of Queensland’s Lake Manchester event to be held in D’Aguilar National Park on 18th August 2019. The course map for the Trail Running Association of Queensland’s Mount Glorious Trails event to be held in D’Aguilar National Park on 7th April 2019. The course map for the Trail Running Association of Queensland’s Mount Glorious Trails event to be held in D’Aguilar National Park on 24th February 2019. The course map for the Trail Running Association of Queensland’s Brisbane Trail Marathon event to be held in D’Aguilar National Park on 5th May 2019. The course map for the Trail Running Association of Queensland event to be held at Walkabout Creek / Enoggera Reservoir in D’Aguilar National Park on 7th July 2019. The course map for the Trail Running Association of Queensland event to be held at Camp Mountain in D’Aguilar National Park on 15th September 2019. This was a commission for a map not in my usual style. It looks a little garish on screen but is designed to print well. This was a commission to create a profile for the South Burnett section of the Kilkivan to Kingaroy Rail Trail. 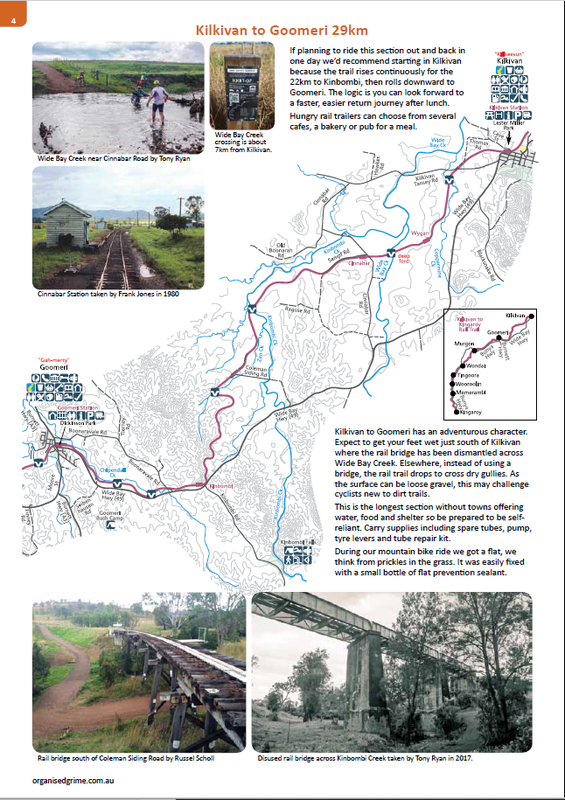 Today we completed our Kilkivan to Kingaroy Rail Trail Guide and made it available for sale in PDF form. We hope to print it on paper soon. 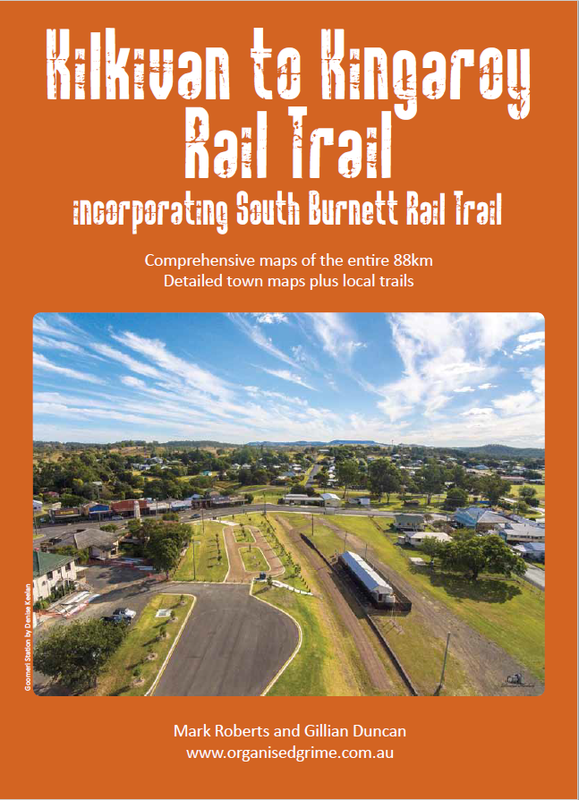 Our KKRT Guide is very similar in format and content to our Brisbane Valley Rail Trail Guide.